When ISIS burned Jordanian pilot Muath al-Kaseasbeh alive for all of the world to see it was a simulated event. Many wondered why burn rather than behead as they have become very skilled at doing. By burning him in a cage and dumping tons of concrete and steel on him, they created a punishment that corresponded directly with an aircraft bombing a building filled with people. Where ISIS differs from their terrorist predecessors is both their media sophistication and their cheesy Western bravado. 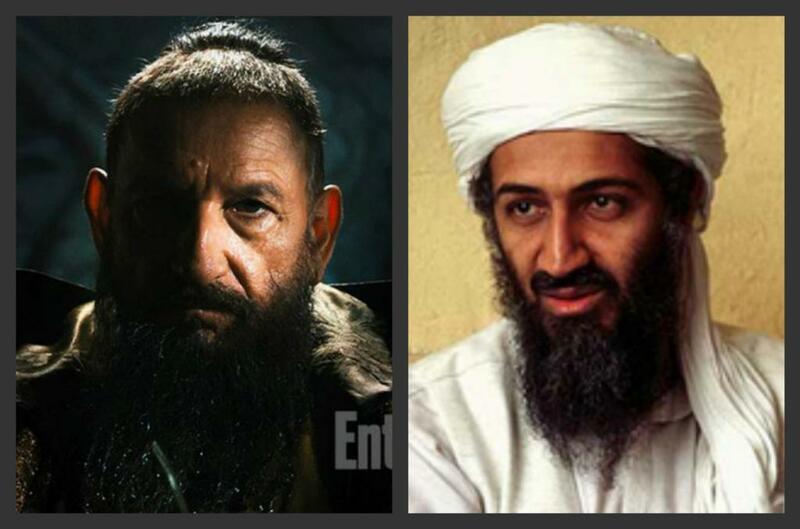 They are like the Mandarin from Iron Man 3. He is a terrorist who turns out to be an actor masking the reality of the person who is behind the violence. ISIS operates like a Hollywood studio with production values high enough that it is difficult to discern their violence from green screens, makeup, and set production. Our experience of violence is flattened. From Ferguson, 9/11, O.J., and the “shock and awe” of Operation Iraqi Freedom; and from Jarhead, Black Hawk Down, and Welcome to Sarajevo the line between a simulated war and war itself is erased. We no longer see the difference. My disciples just destroyed another cheap American knockoff: the Chinese Theatre. Mr. President, I know this must be getting frustrating, but this season of terror is drawing to a close. And don’t worry. The ‘Big One’ is coming: your graduation. Our emotional responses are an attempt at feeling disgust and horror when the referent of what actually happens is simply not there. While we raise our fists and prayers at the terror of ISIS, we have been inoculated from the bloodbath of retaliation. We do not see the beheadings and disembowling of the enemy both before and after an ISIS film production. ISIS delivers us films, previews, and advertising of their violence while our violence comes in identical packages from Hollywood. The brilliance of ISIS is not in their killing. Their brilliance is in understanding that the West can decode meaning only through advertising and fantasy. If we do not understand the real, we will understand its simulation. We are a society that can no longer feel anything real. We have created simulated affect to mirror a simulated reality. There is nothing of “shock and awe” to the privileged. There is only apathy and cynicism.